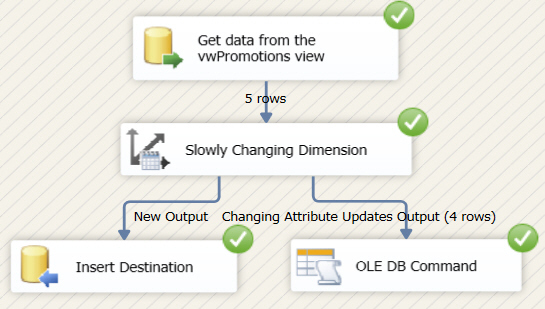 Create a new data flow task within it. 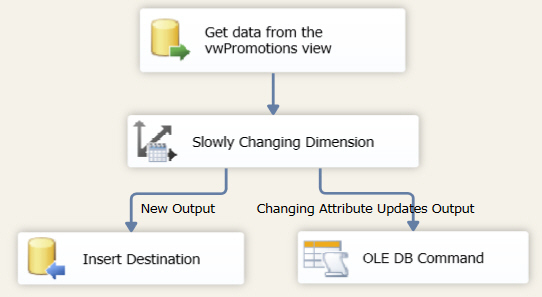 Add an OLEDB source to take data from the vwPromotions view. 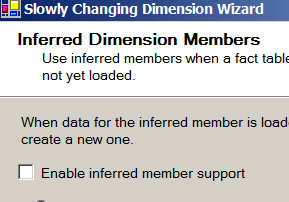 Add a Slowly Changing Dimension transform. 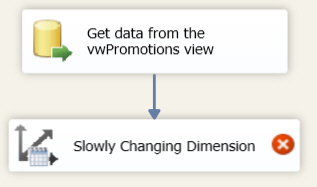 The data flow we'll start with. Time now to configure the SCD transform! Choose to load data into the DimPerson table. We'll dispense with the first name and surname columns, but we do want to capture changes in the grade. 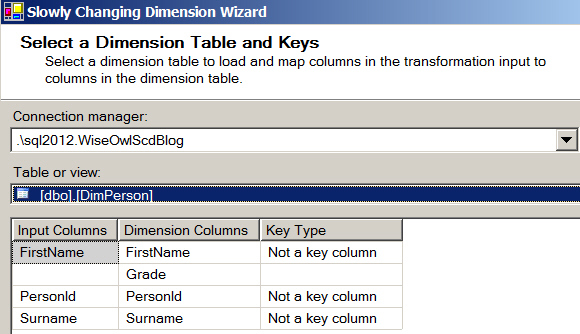 The business key is the column which allows SSIS to match up rows. Make the Grade column have SCD type 1. 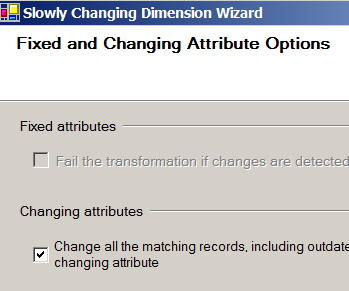 Tick this box to update the grade whenever a change is found in a person with matching PersonId. We'll cover inferred members later in this blog. The SCD wizard generates two additional tasks. The left-hand path will add any people found in the imported data who don't already exist in the dimension table; the right-hand path will update the grades for those people who do already exist in the dimension table. Four rows have been updated, according to this. Rita has been promoted twice, but because no history is kept only the last one shows. The changes which we've passed on to the dimension table. You'll already have spotted the obvious problem: we've lost any history of grades. So if you want to know what Rita Smith earned in the first quarter of 2001, you can't. Wouldn't it be nice if there was some way to capture the change history ... ?